Red Car Trolley is a track ride in Buena Vista Street at Disney's California Adventure. It's worth seeing on a time-permitting basis. 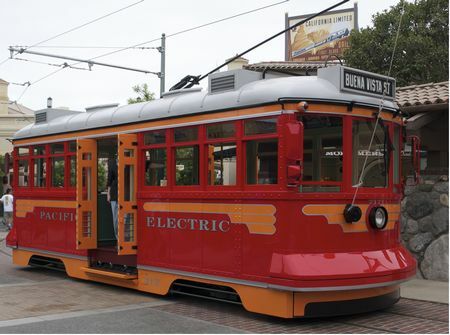 Climb aboard a replica of an old Pacific Electric "Red Car" trolley for a narrated trip up Buena Vista Street and on into Hollywood Land.